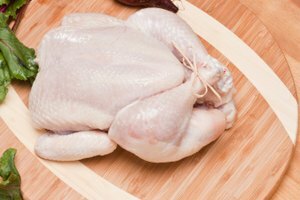 Eating an undercooked chicken can lead to serious health consequences, including food poisoning and salmonella. Cooking a chicken for a specific length of time can be an unreliable measure of how well it is cooked because oven temperatures might vary based on many factors. 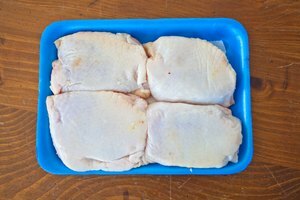 Checking parts of the chicken to see whether the meat is pink can be equally unreliable; the chicken could appear cooked even when it is not, or the part you check might be done while another part is still undercooked. 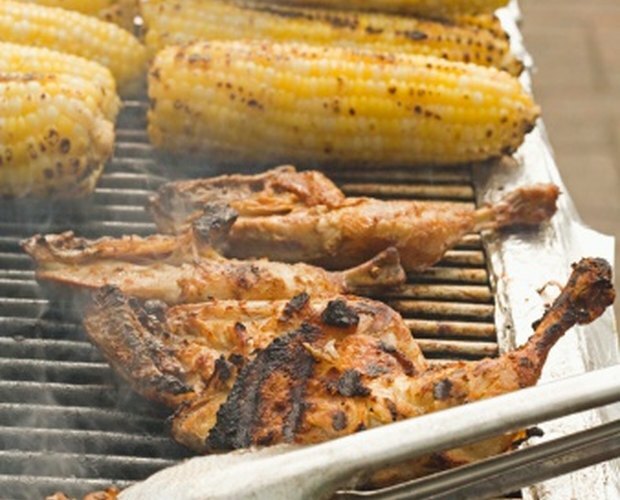 For the most accurate results, check your chicken with a meat thermometer. Examine the chicken and find the point where its legs attach to its body. There should be an area where the leg is visibly different from the body but still attached to the body by a piece of skin. 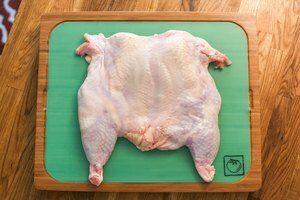 Plunge your thermometer through the skin attaching the chicken’s leg to its body. This should result in your thermometer being partially buried in the chicken’s thigh meat. If you strike a bone, remove the thermometer and try again. Being in contact with a bone can interfere with the thermometer’s accuracy. Watch the thermometer until it stops rising. Depending on the type of thermometer, this might be almost instantaneous, or it could take up to half a minute. Read the temperature on the thermometer when it stops rising. If the thermometer reads under 165 degrees F, continue cooking the chicken. Anything under 165 degrees is not safe, according to the United States Department of Agriculture Food Safety and Inspection Service. How to Tell When a Lobster Is Done Cooking? How Long Should I Cook 3 Lbs. of Chicken Breast in a Crock Pot?